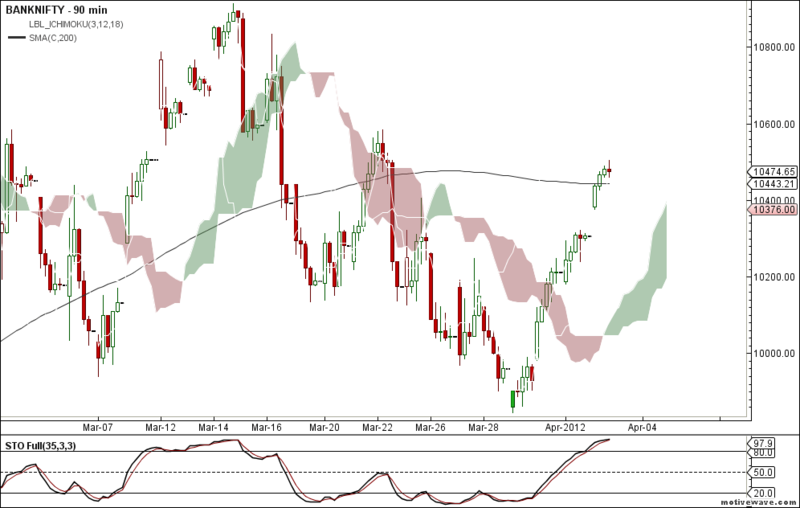 Nifty and Bank Nifty are in Buy mode since last friday. And both the instruments are firmly trading above 200MA on the 90 min timeframe. Nifty the trailing support zone is updated to 5355 and 10442 i.e 200MA. Any break of this zone on 90 min timeframe then Profit booking on longs is advisable. 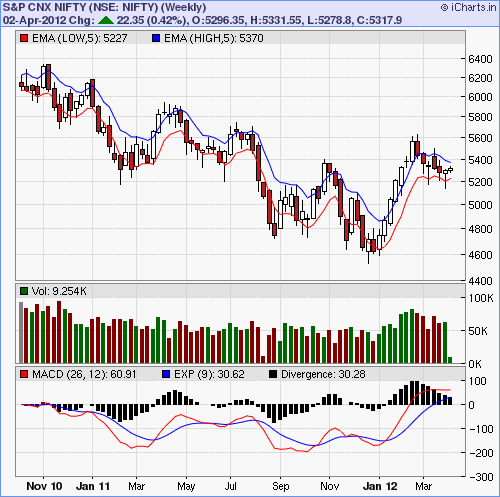 On the weekly charts nifty is osciallting between 5EMA High and 5EMA low zone for almost 6 weeks. 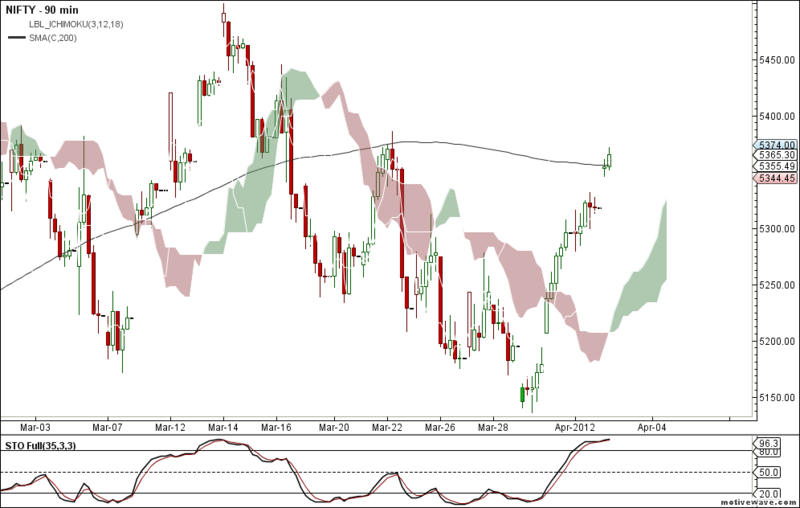 Closing above 5370 i.e above 5EMA High is bullish signal for delivery trading in stocks. So the Instruction is clear. Positional Exit from Longs.